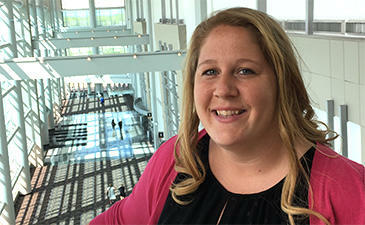 Allison believes that technology integration is a 360-degree proposition that involves students, teachers and parents. In addition to bringing technology into her classroom and working with colleagues through her District’s technology team, she has also facilitated three “STEAM nights” offering students and their families a chance to engage in STEAM-themed activities together. As part of these events, families have a chance to explore Google expeditions; program circuits with Makey Makey; navigate Spheros through an obstacle course, and more. “Technology integration is essential,” Allison says. Fun Fact: Allison accompanied three teams to the Nebraska Robotics Expo, two of which placed in the competition.